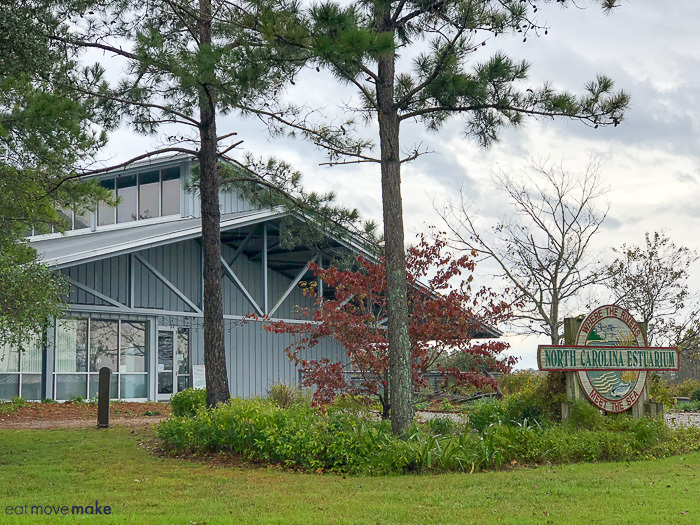 Most everyone has heard of the Outer Banks but Eastern North Carolina’s Inner Banks (the coastal plain) has its own secret charms including the quaint maritime community of Washington NC. 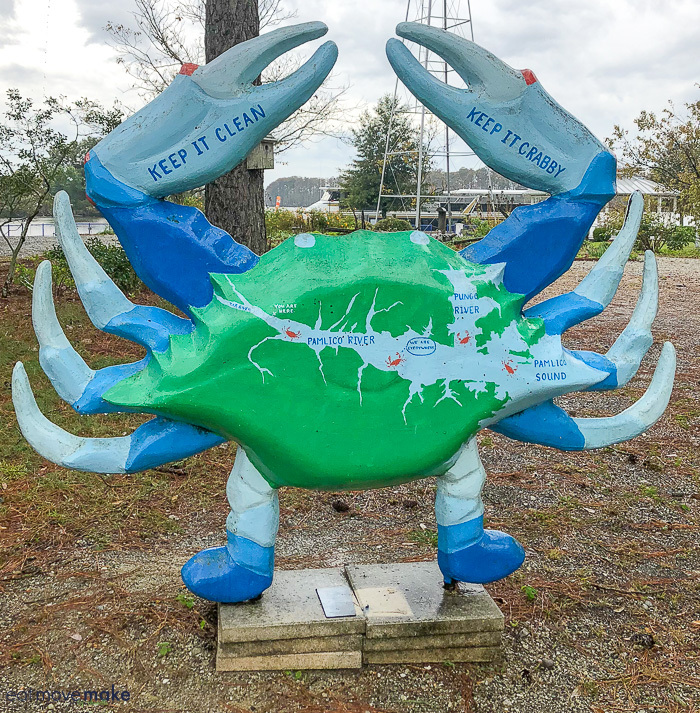 Fast becoming a favorite getaway destination, Washington has the makings of a perfect weekend escape: a peaceful waterfront, a historic downtown, and a unique and diverse collection of restaurants, boutiques and galleries. 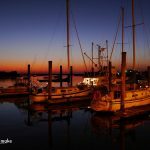 Washington NC was founded in 1776 and was the first town in the United States to be named after George Washington. 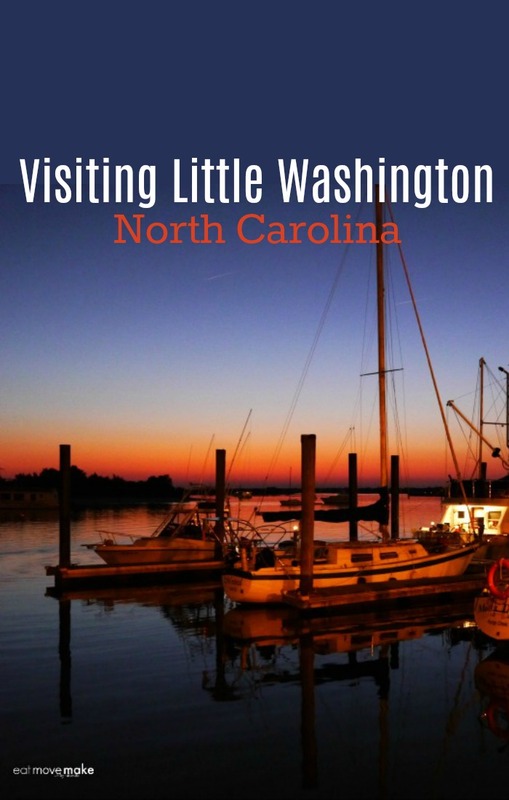 It’s the original Washington, but its diminutive size relative to our nation’s capital is how it came to be known as ‘Little Washington’. 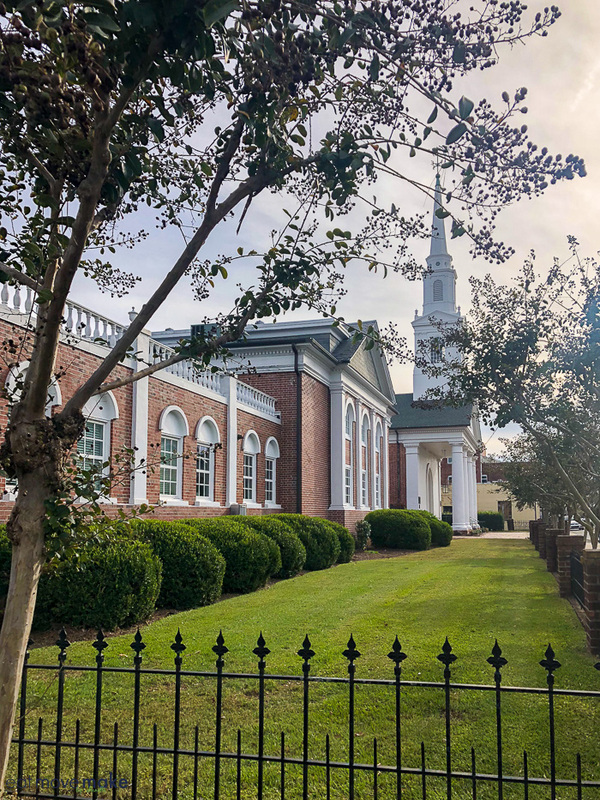 This small town treasure is the heart of the Inner Banks, and it’s a secret too good to keep to myself. 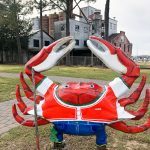 Plus, it’s the perfect stopover on the way to or from the beach as it’s just 1 1/2 hours from Nags Head and just over an hour from Atlantic Beach. 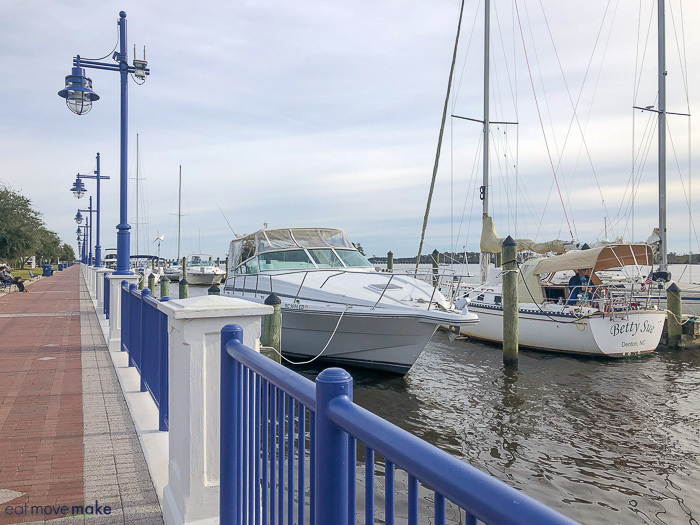 With an ideal and incredibly picturesque location on the northern bank of the Pamlico River, the waterfront is an especially wonderful place to hang out and I found myself drawn to it time and time again throughout my hosted weekend visit. I especially enjoyed strolling the mile-ish long boardwalk promenade with its panoramic views. 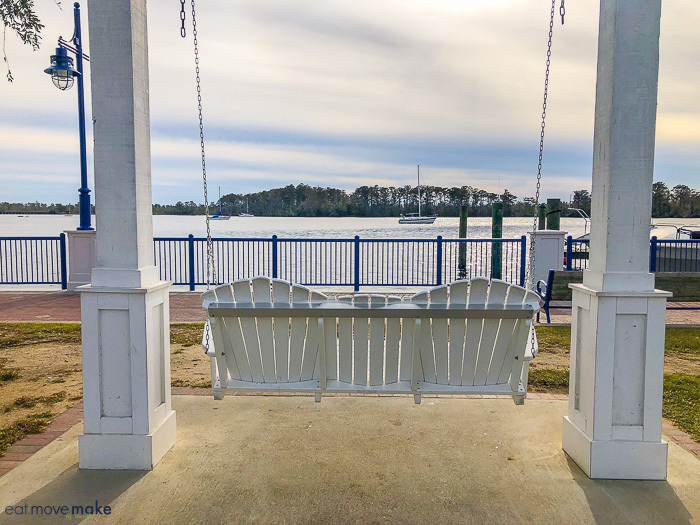 There are waterside swings, benches and Adirondack chairs in which to cozy up as you bask in the last golden rays of a glorious sunset, watch kayakers at play or admire the boats sailing along the river. 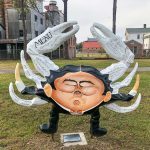 Look for this crab outside the Estuarium. 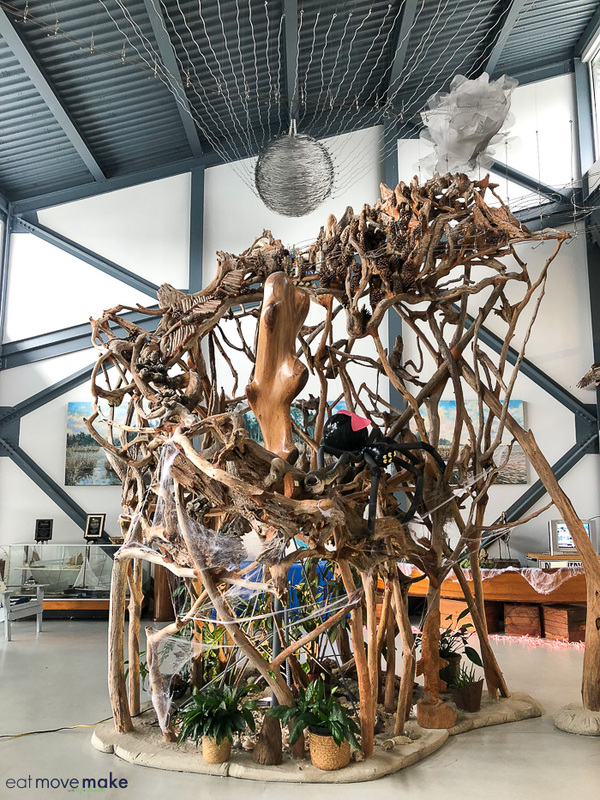 One of the highlights of the estuarium includes seeing and hearing about the massive art installation in the lobby. Be sure to ask about it! 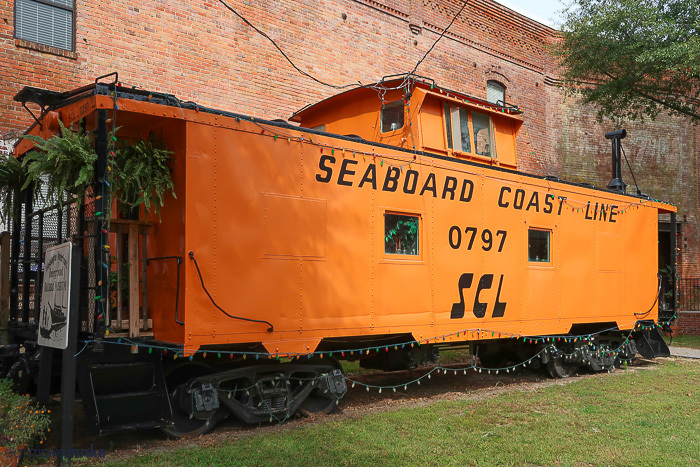 I started my two-day adventure in Washington NC with a visit to the Underground Railroad Museum which is currently housed in a bright orange railroad car just a hop and a skip from the riverfront itself. 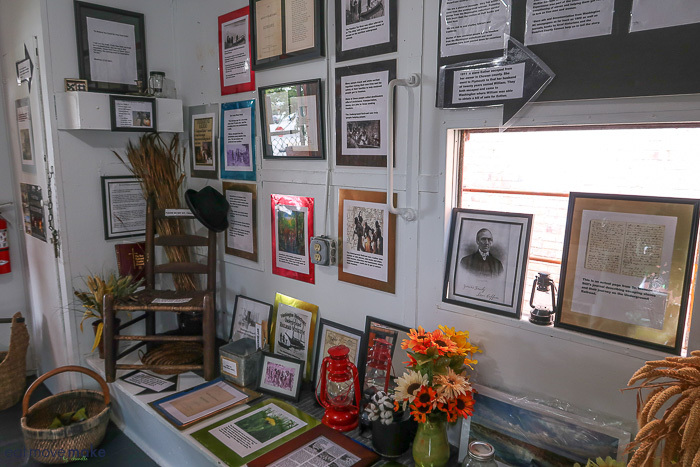 It’s a small but mighty museum that does a beautiful job of telling the stories of freedom seekers who passed through Washington NC. 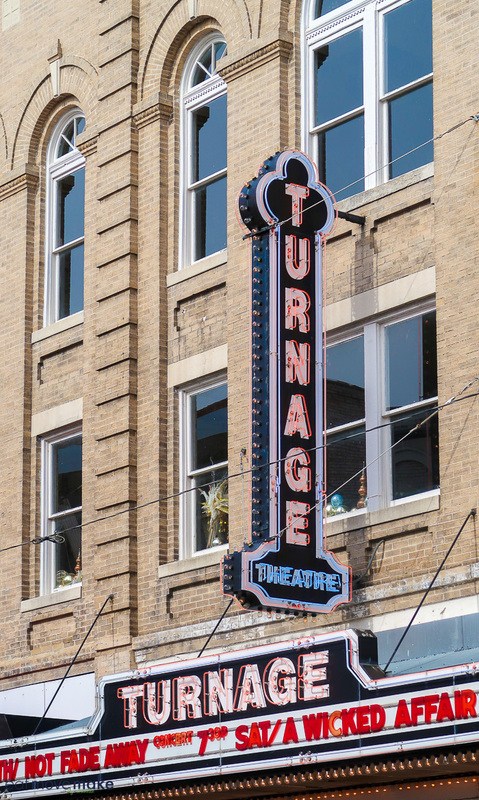 After lunch, I walked over to the historic Turnage Theater, once a vaudeville circuit stop for the likes of Roy Rogers. Eventually, the theater transitioned to silent movies and “talkies” abandoning the upstairs vaudeville theater. 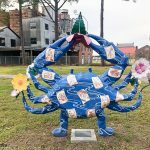 Fortunately, Arts of the Pamlico has plans to restore the old theater. Stay tuned! 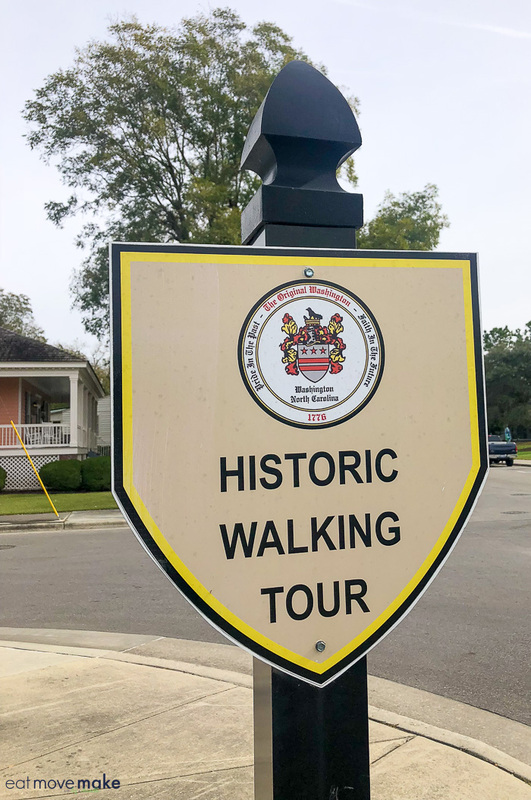 I spent the next couple hours strolling the historic district on a self-guided walking tour. 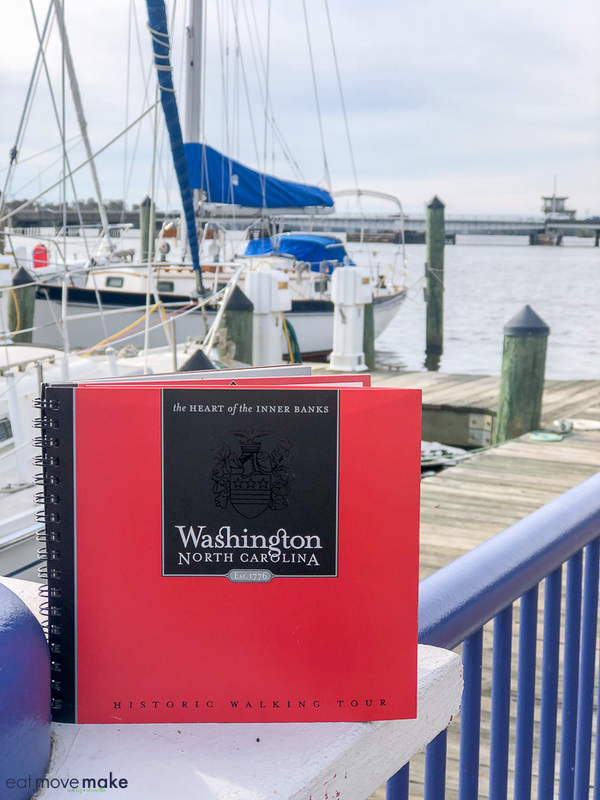 Stop by the Washington NC visitors center for a copy of the tour book and then enjoy the gorgeous stately homes, gardens and vintage commercial buildings of Main Street. I enjoyed this so much that I made plans to come back with my boyfriend and take the tour together. 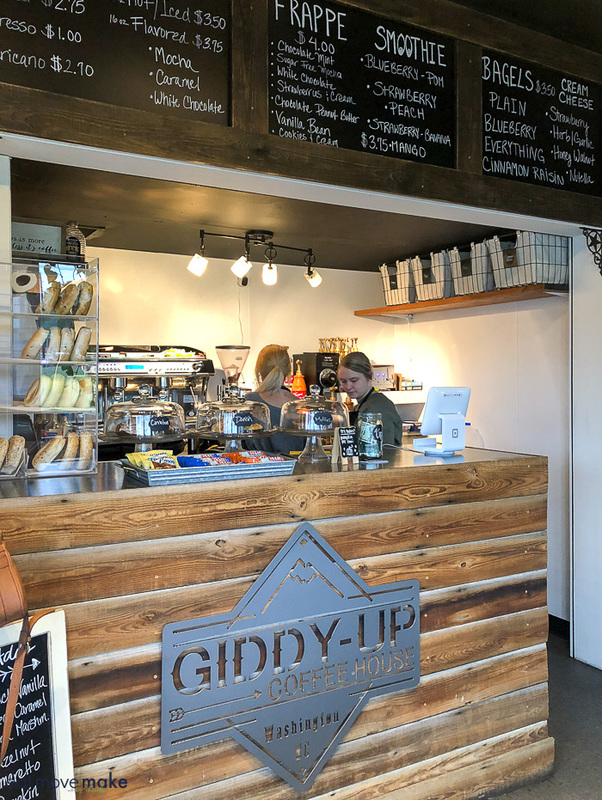 For a morning caffeine fix, I dashed into the Giddy Up Coffee House, a super cute place to grab a cuppa joe and a quick bite. For delicious pastries, sandwiches, soup, coffee and tea, I loved Rachel K’s Bakery. 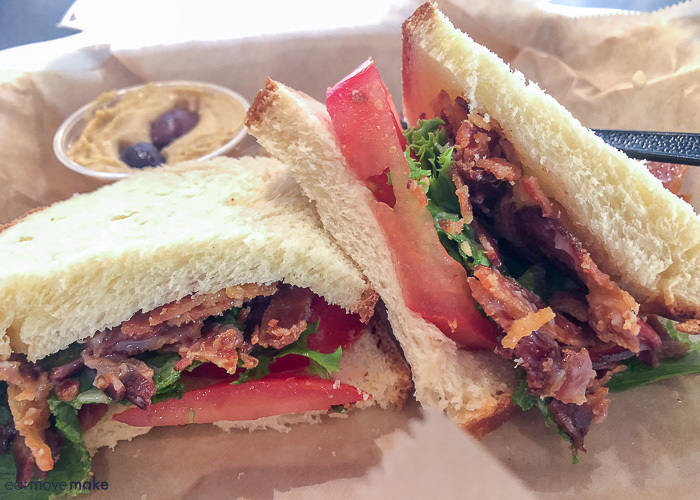 I went at lunchtime and ordered a delicious BLT sandwich with a side of hummus. 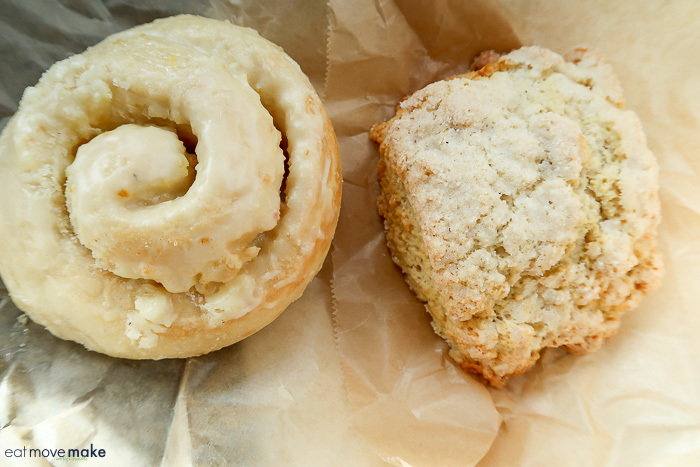 I also tried (and failed) to resist the baked confections, and ended up leaving with an enormous iced orange roll and a fluffy scone for dessert. For dinner, I stopped at Grub Brothers Eatery on Main Street, a casual eatery serving up burgers, sandwiches, salads and more. 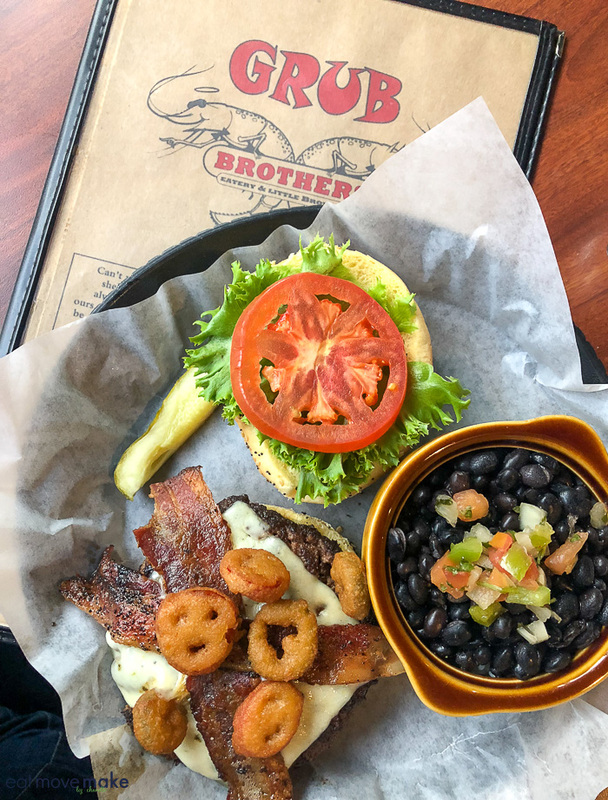 You know I love my spice, so I settled on the Firehouse Burger with fried jalapenos, pepper jack cheese, bacon, lettuce, tomato and onion and a side of black beans and rice. 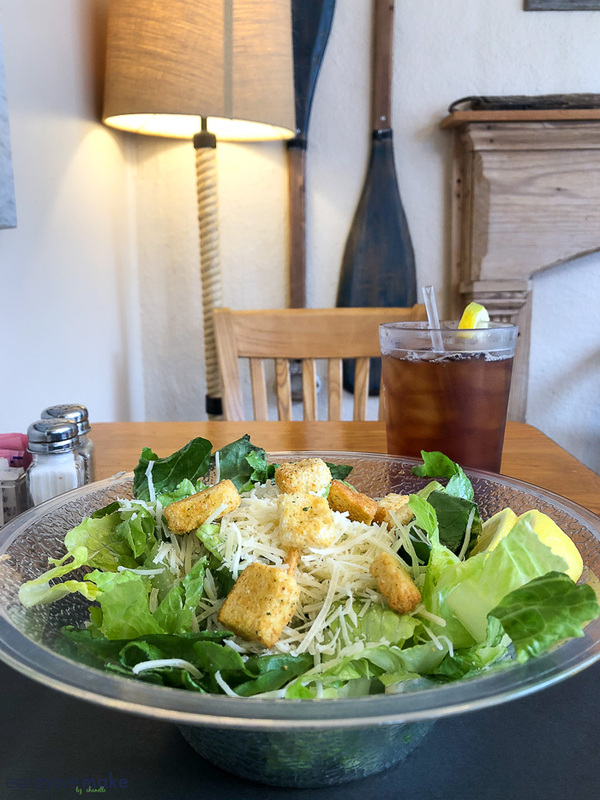 On my second day, I stopped in at Down on Mainstreet (a local favorite) for a Caesar salad. The nautical decor was delightful and I sat by the window for some prime people watching. 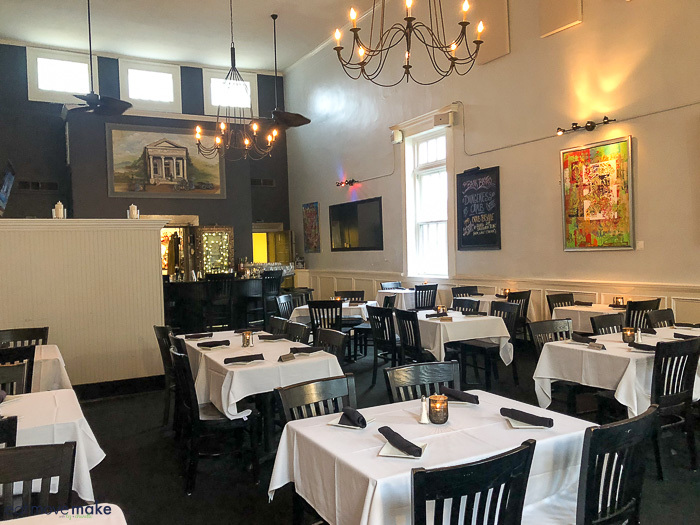 I also had dinner at The Bank Bistro & Bar housed in Main Street’s original 1852 bank building, and to say my dinner was exceptional is an understatement. I had the pleasure of chatting with the chef and his creativity brought new flavors and textures I never expected to my filet mignon dinner. 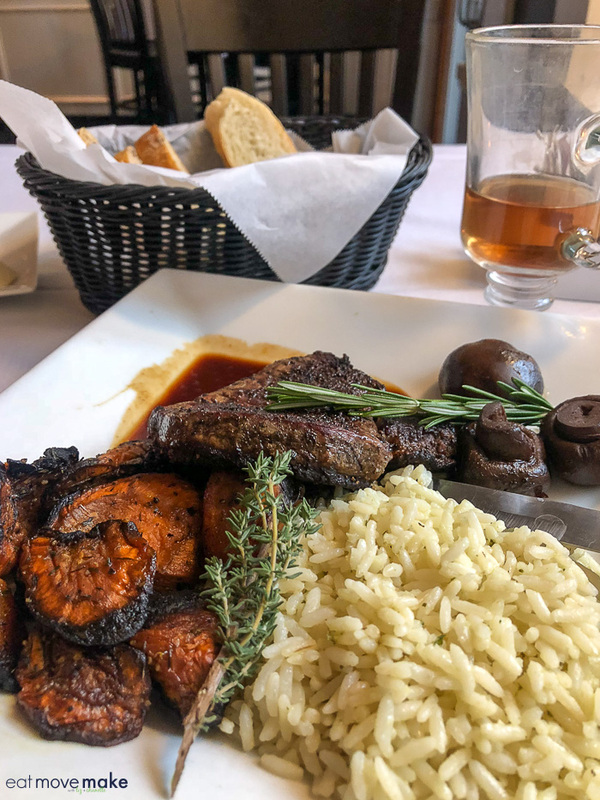 Chefs hate when people order steak well-done (and I go well beyond that with my triple well-done butterflied hockey puck requests) but he was kind enough to indulge me and it was magnificent. His Bordelaise sauce was out of this world! I cry at the mere memory of the flavor. Delectable. One of my favorite meals ever. 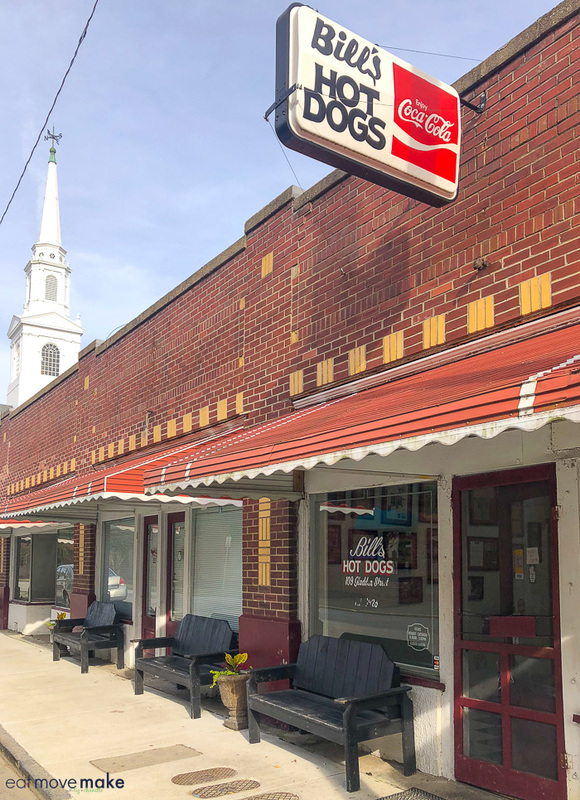 I’d be remiss if I didn’t mention one of the most legendary food stops in Washington — Bill’s Hot Dogs, a local institution since 1928. It’s bare bones simple (just hot dogs, chips and drinks) but it’s definitely where the locals eat. Tip: Order your hot dog “all the way” for spicy chili, mustard and onions. 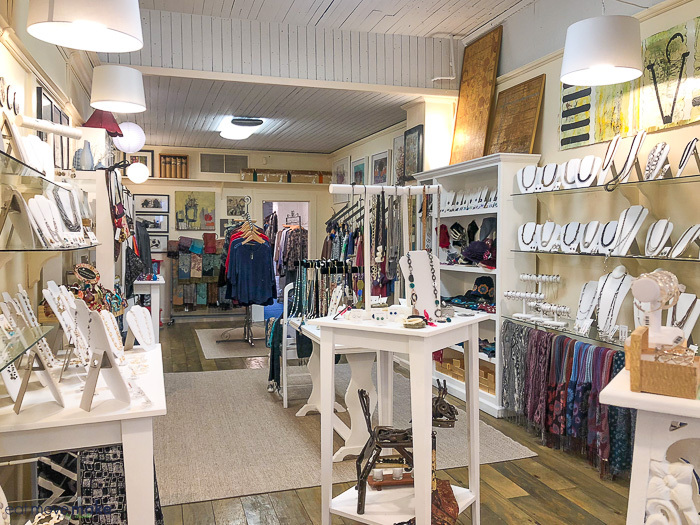 One of my biggest surprises was discovering the shopping in Washington NC is superb! I was expecting… well, not much, but I was blown away by how on trend, distinctive and special each of the boutiques and galleries was. 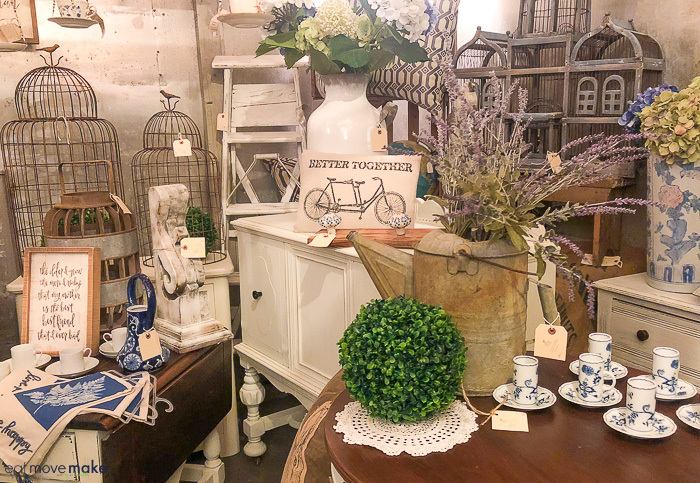 I loved Cottage Junkies so much I visited twice and found lots of little gifts for the holidays and a few treats for myself. Some of my other favorite finds were Little Shoppes, The River Girl, and Secret Garden. 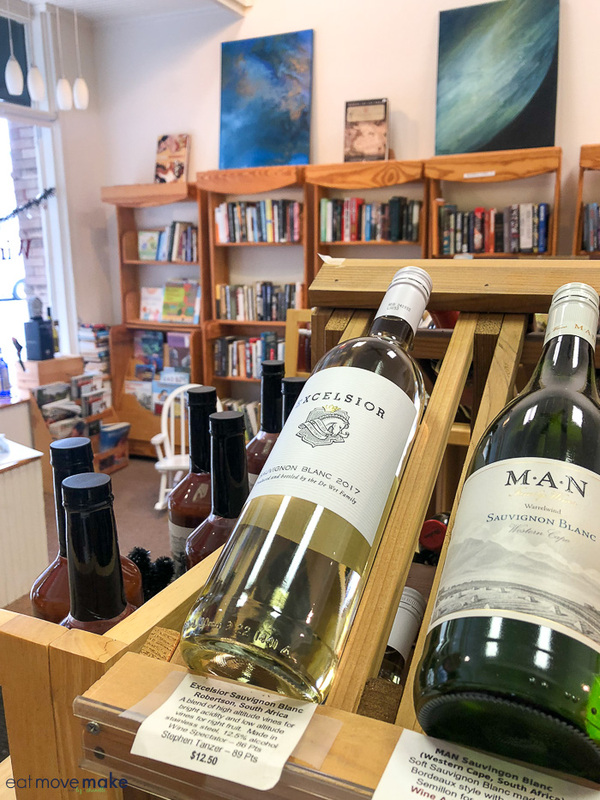 I also loved the fun combination of gourmet goodies and books inside Wine and Words where there’s a free wine tasting every Friday from 4-7pm. 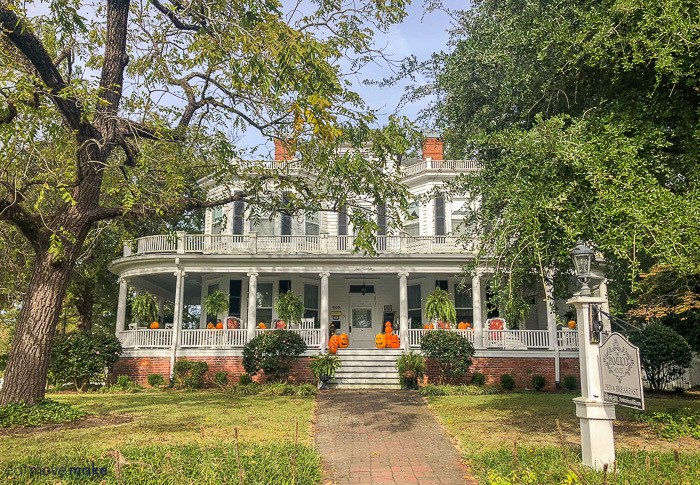 With its captivating waterfront location, fabulous shops and restaurants and fascinating history and architecture, Washington NC has the makings of a perfect weekend getaway. 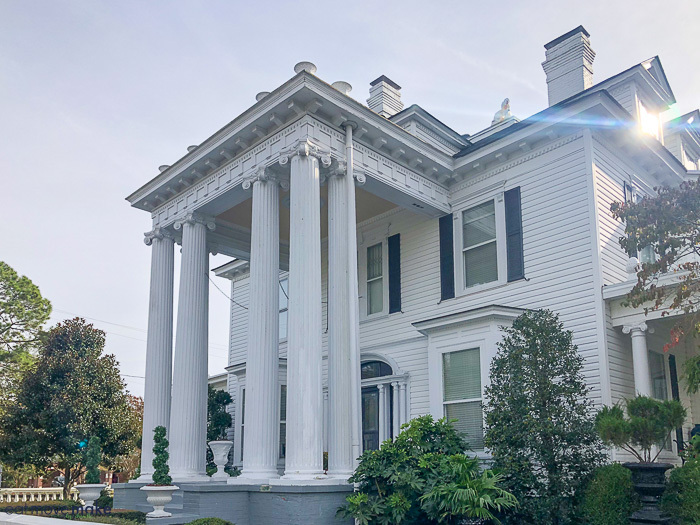 I stayed at the new Fairfield Inn just minutes from the historic downtown area, but there are also a number of wonderful B&B’s within the historic district itself. 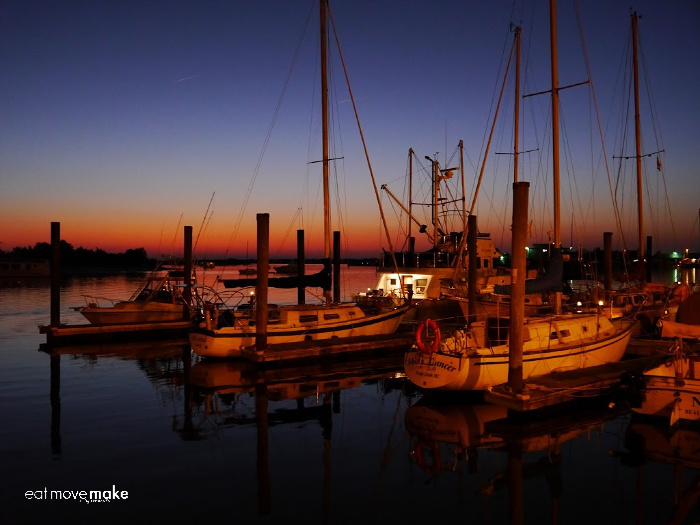 Pin this Washington NC post for travel inspiration!